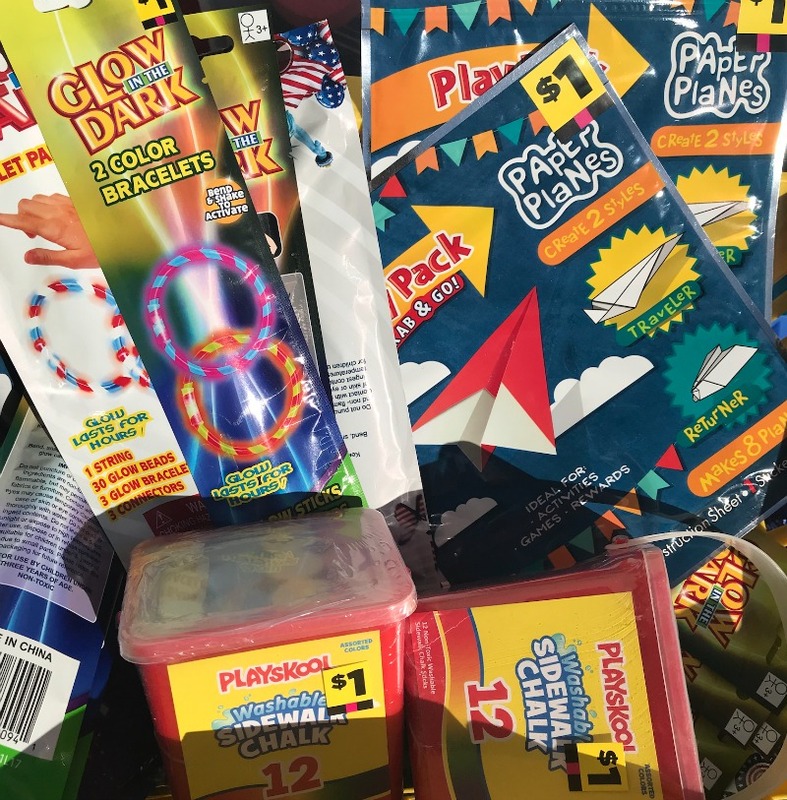 Hop in the car and head to your local Dollar General, they have all yellow and red dot summer merchandise 90% off! I ran by earlier today and got flip-flops, glow sticks, sidewalk chalk and a lot more all for 10¢ each!! This pretty much made my day as we are collecting everything we can for Operation Christmas Child boxes. We may have gone a bit overboard, but when 50 items only means spending $5 it’s totally worth it!